As initial misplaced fears and apprehension of cannabidiol subside, clinical trials have been launching not only throughout the US but also in countries throughout the world. 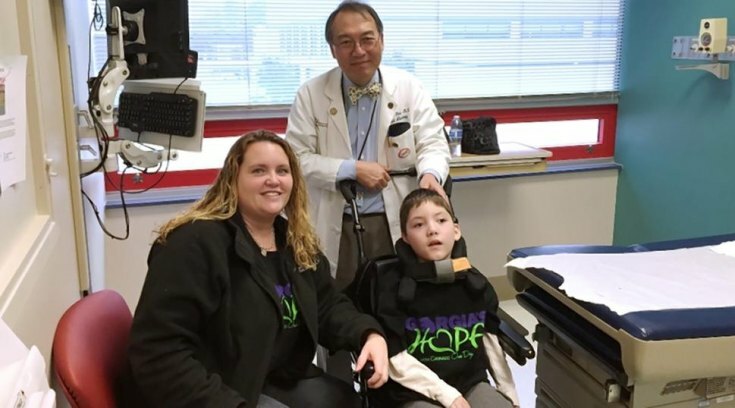 In Georgia, 7 year old Preston Weaver was chosen as one of the first children in the US to undergo trials of the drug Epidiolex, whose main component is cannabidiol. Preston suffers from a more severe form of epilepsy known as Lennox-Gastaut syndrome, which has rendered him nearly paralyzed. Preston is unable to walk, talk, or see, and has up to 100 seizures a day, most of which take place in the brain and are not physically apparent to observers. Although Epidiolex has yet to be approved by the FDA, it is hoped that if clinical trials involving Preston and up to 50 other children show promise, there may be hope for others with debilitating conditions. Throughout Georgia, local lawmakers support the concept of medical marijuana and the start of clinical trials at Georgia Regents University — tests that potentially could lead to the passage of a bill that would legalize medicinal cannabis in the state. Lumsden is quick to note that his support is limited to cannabidiol — the non-psychoactive substance found in marijuana that Georgia Regents is testing in its clinical trials. He opposes legalizing recreational use of cannabis. Sen. Chuck Hufstetler, R-Rome, also supports the initiative that’s found a home in House Bill 1, filed by state Rep. Allen Peake, R-Macon. “Cannabidiol has shown effectiveness against seizures and has no psychoactive components”, Hufstetler said. In Iowa City, Iowa, 8 year old Ryan is one of the few children across the nation and Europe that will participate in a clinical trial for CBD oil. Ryan has Dravet Syndrome, a type of intractable epilepsy. His pediatric neurologist, Dr. Charuta Joshi, who specializes in epilepsy, will be conducting the trial in Iowa City. “As everybody knows this is a very emotionally-charged subject, and especially in patients that really don’t have too many medical options, this is yet one more medical option if it is indeed favorable for patients to look forward to,” said Dr. Joshi. Looking towards international progress of CBD, Premier Mike Baird and Health Minister Jillian Skinner announced the launch of clinical trials in the Australian state of New South Wales. The two politicians said that children with severe epilepsy, terminally ill adults, and patients with chemotherapy-induced nausea will participate in three trials. The avid interest in the effects of medical marijuana on childhood epilepsy is primarily a product of the well-publicised news pieces from the U.S., in which the drug treatments were successful. If the trials show conclusive evidence of relief for sufferers, then the Baird government has already set aside A$9 million while the procurement arrangement for the drug is being negotiated.